Deadline for Proposals: September 15, 2008.
website for submissions will open August 15, 2008.
registration page of this website for details about fees. Proposals for individual papers are due September 15, 2008.
will connect analysis to social, political, economic, or ethical questions. author, entered on the website. b. A 500-word abstract for the 20-minute paper entered on the website. that space on the site. Proposals for pre-constituted sessions are due September 15, 2008.
activism. No paper titles may be included for roundtables or workshops. Division sessions are due September 15, 2008. Proposals for seminars are due September 15, 2008.
are reading this on the website). what advanced preparation will be required of seminar participants. and institutional affiliation of the leader(s) proposing the seminar. c. A brief bio or one page CV of the leader(s) proposing the seminar. previously circulated papers, such requests must be explained. You are invited to submit a proposal to conduct a preconference workshop or seminar for the 2009 Pennsylvania Educational Technology Exposition & Conference (PETE & C). Individuals representing all academic disciplines and levels and all phases of technology and education are welcome to submit proposals. Preconference sessions can be in a seminar format, or hands-on training workshops and will be conducted on Sunday, February 8, 2009. Sessions can be either three or six hours in length. Computer use at all academic levels, K-12 and higher education, and in all academic disciplines. Curricular planning in disciplines where technology is the focus of instruction. Computer education and opportunities for special audiences. Computer-managed instruction and computer based testing. Computer education for teachers. Administrative applications of technology at building and/or district level. Computer education outside the typical school environment. Technology partnership programs with education and business, industry, or government. Emerging technologies for educational utilization. Each 3-hour workshop that is accepted will receive one stipend of two hundred fifty dollars ($250); each 6-hour workshop a five hundred ($500) stipend. The decision to cancel any workshop due to low registration numbers is at the sole discretion of the PETE & C Preconference Committee. Please note: Preconference presenters do not receive complimentary registration to the general conference and must complete a conference registration form if they plan to attend the general conference. Proposals will be considered and accepted at the discretion of the preconference committee. Deadline for submission is August 15, 2008. You are invited to submit a proposal to conduct a conference presentation for the 2009 Pennsylvania Educational Technology Exposition & Conference. Individuals representing all academic disciplines and all phases of technology and education are welcome to submit proposals sixty-minute presentations. PARTICIPATION INFORMATION: All presenters are expected to register for the conference. Only the main presenter will receive a complimentary registration for the three days of the main conference February 8-11, 2009. Additional presenters must register at the regular conference fee. Final placement of all workshops into the program schedule is at the discretion of the PETE&C program committee. EQUIPMENT: Each session room has a video projector, screen, a 4-outlet extension cord and an Internet connection. You are responsible for supplying your own computer and any other equipment that you may need. A conference presentation by a commercial enterprise or its agents requires representation on the exhibit floor. Contact Marilyn Chastek mchastek@pasbo.org for more information. invites submissions for roundtable discussions, panels, research and/ or poster presentations, and scholarly papers. infemcon@lehigh.edu by August 30, 2008. The NCLA College and Universities Section & Community and Junior College Libraries Section invite you to submit proposals for the Library Instruction 2.0 Conference. The conference will be held in Chapel Hill, NC November 17-18, 2008 and will offer exciting and energizing sessions and workshops in the field of library instruction. The conference theme, “Library Instruction 2.0,” reflects the next generation of library instruction. Proposals are sought for a variety of formats including formal sessions, demonstrations, panel sessions, and workshops. Proposals are due July 1, 2008. Full text of the Call for Proposals is available online at http://www.nclaonline.org/cus/Lib2.0/Proposalcall.html (Click “Proposal Submissions”). Proposals must be submitted via the online proposal form, available at http://appserv02.uncw.edu/SelectSurveyNET/TakeSurvey.aspx?SurveyID=765I5m5. The Pioneer America Society: Association for the Preservation of Artifacts & Landscapes (PAS: APAL) will hold its 40th annual conference at the recently restored Hilton Baton Rouge Capitol Center in Baton Rouge, Louisiana, on October 15-18, 2008. This event will be held in conjunction with the Eastern Historical Geographers Association (EHGA) meeting and will be hosted by the Department of Geography & Anthropology at Louisiana State University. The 2008 Conference theme is: Landscapes at Risk. There will be two field trips. The Thursday River Road tour will be led by cultural geographer, Craig Colten, through landscapes that face non-weather-related risks. The tour will include stops in Carville, Donaldsonville, and Plaquemine, LA. Risks from sprawling chemical complexes and the emissions that rift from them present many challenges to communities and landscape preservation. The Saturday tour, led by cultural anthropologist, Jay Edwards, will travel through the extensive areas of weather-related devastation and renewal in New Orleans. Creole cottages, shotguns, and doubles will be staple fare for the day. Presenters must be members of PAS: APAL. Individual memberships are $50 per year, while student memberships are $25 per year. Abstracts must be of no more than 200 words, which includes the authors’ names, affiliations, and title of the paper. You may submit as an email attachment in Word or WordPerfect. The deadline for abstract submissions is: July 11, 2008. Body of the abstract: This should include a problem statement, a statement about methods, and a brief description of the conclusions. to make a digital presentation. area and the Popular Culture Association’s “Women’s Lives and Literature” area, I invite abstracts for the Spring 2009 joint ACA/PCA conference to be held in New Orleans April 8-11, 2009. Please send 250 word abstracts to me by 11-15–08 via e-mail. PCA and ACA are interdisciplinary organizations that give us a great opportunity to work across the usual academic borders and have fun in the process. in libraries, archives, and museums. museums to meet user needs in the information age (see: http://chips.ci.fsu.edu ). among different institutions or the information resources they manage. adapt to meet these needs? is there for sharing expertise across programs? indicate the journal to which you plan to submit). directly to Paul Marty at marty@fsu.edu. SITE 2009 will offer for the first time an alternative Full Paper submission category. “Full Papers (Book)” are Full Paper submissions submitted in their final by Oct. 17th. These will be reviewed for publication in a book of selected papers as well as a presentation. faculty/staff development. SITE is a society of AACE. in this important field. All proposals are peer reviewed. attracts more than 1,200 leaders in the field from over 50 countries. describe innovative projects are encouraged. poster/demonstrations, tutorials/workshops, panels, and corporate showcases. 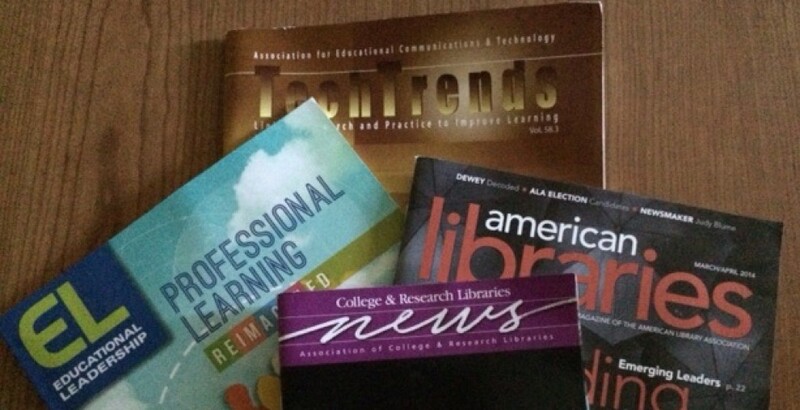 Education and Information Technology Digital Library, http://www.EdITLib.org. = Education and Information Technology Digital Library, http://www.EdITLib.org. CD, receptions, and all sessions except tutorials. CHARLESTON, SOUTH CAROLINA: Where History Lives–Indulge, Play, and Explore! With a rich 300 year history, Charleston today is America’s most beautifully preserved architectural and historical treasure. For the fifteenth consecutive year (2007), readers of Cond� Nast Traveler magazine honored Charleston as a Top 10 travel destination in the U.S. Charleston was honored with a No. 3 slot. Where you can get away. Turn off your cell phone and listen. Listen to waves rolling up on the beach Floorboards creaking as you rock in a chair on a piazza overlooking our lovely downtown gardens. Here you can get away without having to hide. Listen to birds sing as you hike through our nature preserves. Sit in a dock and soak up the ocean breeze. Sip a glass of sweet tea. Enjoy a slow drive under a canopy of ancient oak trees. Curl up with a good book. Listen. And you’ll hear historic church bells ring. You’ll hear your heart beat a little slower. Where you can indulge. What a wonderful feeling it is when you discover something like no other such as the tales that come with cherished antiques and artwork. Indulge in so many flavors that are unique to the area. Festive oyster roasts, shrimp and grits served with an ocean view. Breakfast by an outdoor fountain. An entire menu of award-winning restaurants. See our famous sweetgrass baskets take shape. There are spas to relax in and shops and more shops to visit. So bring your walking shoes. Bring your appetite. Where you can play. We Charlestonians love to play and we have a sandbox that’ll have you grinning from ear to ear. Surrounded by water with waves to surf and fish to catch. Here in the Low Country, we have so many ways to play, no matter what your game is. Golf, tennis and kayaking for the grownups. Fountains, slides and castles for the little ones. Play hard. Play fast Play nice. Where you can explore. Oh the stories they tell. Revolutionary battlegrounds like Fort Moultrie, Civil War fortresses like Fort Sumter and heroic World War II ships. You can almost feel the ground rumble beneath your feet. Step out of their shadows and there’s more to explore – the softer side of our rich history. Sprawling parks, historic plantations, cobblestone streets that lead to quiet country gardens. Pack a picnic. Pack a map and pack your camera adventure is calling your name. It’s not just a conference. it’s a vacation! So plan to join us in Charleston for SITE 2009 a great conference in one of America’s greatest destinations. (abstract of session is below). mothers as they encounter the maternal wall in academe.